Nearby Nature: How to Find Adventure Near You — Dear Summit Supply Co.
1. Start with who you know. Ask your friends, family, neighbors, and coworkers if they know of any good parks or hiking trails nearby. It’s as simple as saying something like, “I’m thinking about going hiking/camping this weekend, do you know of any good spots around here?” Try using social media to ask, too - Facebook now has a function to ask for recommendations, this is a perfect use for it. You might even discover that someone you know loves the outdoors as much as you, or you could encourage someone to head out there with you! 2. Ask people whose job it is to know. If you know of a state park, nature preserve, or conservation area nearby, try asking a ranger next time you visit if they know of any other good spots for hiking in the area. Chances are, they love the outdoors as much as you do, and would be happy to pass on some recommendations. If you don't know of any places like this near you, try your nearest sporting goods store, such as Cabela's or REI (or even the camping department at the big box store, if that's all you've got in your area); ask the employees there if they have any recommendations. 3. Check the government websites, from local to federal. Your city's website likely has a page for its parks department listing all the parks and outdoor activities available in the city limits. Start with that, and then move on to your county, then state, looking for a directory of parks, campgrounds, and trails. Don't stop there, though! Check the federal level, too - recreation.gov - you might have a national forest or other federally managed land nearby with opportunities for adventure. 4. Try other independent directory websites. 5. Download these helpful apps. I have two apps on my phone that come in handy for finding places to hike (or just get outside), whether I'm at home, or away: All Trails and The Outbound. All Trails is like the Yelp for hiking, as you can search for trails by location, and then take advantage of the crowd-based ratings, photos, and reviews. It even has trail maps and shows elevation and other details and tips. This is my go-to app, especially when I'm travelling. The Outbound is perhaps a little less robust, but it is prettier and covers more than just hiking trails. The app functions similarly to All Trails, with photos, maps and ratings of each spot, but it also includes listings for activities ranging from snowshoeing to canoeing to rock climbing. Because The Outbound relies on user-generated content, it's most useful in more populated or well-visited areas, such as national parks and the west coast, but still worth downloading and trying it out, even if you're not in one of those areas. 6. Seek advice from the experts (books, of course!). Who says you have to be on vacation to use a guide book? Check the travel aisle at your local book store, and they probably have a shelf highlighting local guide books. I bet you'll find one or more books about hiking, camping, or nature in your state, if not your local area! These may not be the most comprehensive resources, but they're a convenient way to keep all those adventure ideas all in one easy-to-find place (and a book doesn't rely on a cellular signal, like your phone, so it will still be useable in more remote locations). 7. Find a community to join. There are lots of organizations with local chapters which organize group hikes and other outdoor activities. Check out the Sierra Club, which was founded by John Muir; some chapters host lots of hikes and meetups, while others focus mostly on activism. For parents with smaller children, try Hike It Baby, a newer organization with chapters worldwide, focused on getting families outside together, from stroller walks to more challenging hikes. 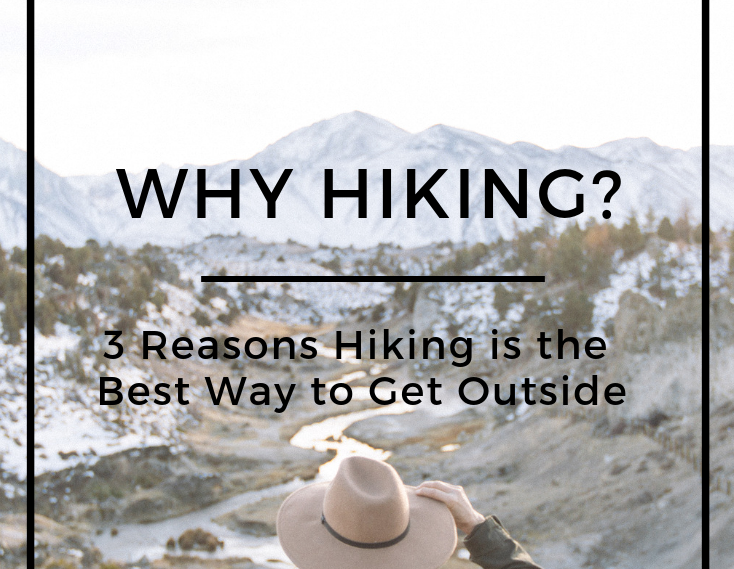 You might also find a local group by searching meetup.com or find a group on Facebook (search "[your location] hiking group" or something similar). Finding friends to head outdoors with can add whole new levels of fun, whether its with friends you already had, or new ones in a group you join. I hope you find this list helpful to find new places to seek adventures in wild places near you! Got any ideas or resources that I didn't mention? Please leave them in the comments!